Buying a treadmill is NOT like buying a pair of dumbbells. Care must be given to some key points. Here are my 5 Must Things to consider before you buy a treadmill. The treadmill has proven to be one of the best exercise equipments ever developed. This is because it can be used by both people that have limited motion and fitness to top world class athletes. This is because they use one of the best of nature’s gift, the gift of motion to burn calories. We know today that the cause of most heart disease and obesity is just the lack of exercise. And treadmills can give you a total body work out by enabling you to get in motion right in your living room. Treadmills are useful because they help to make exercising easy, especially for those that don’t want to use their time in going to the gym and back or those that want to exercise with their kids and partners around. You can start from a walk to a jog, or even go to a run if your machine permits. There are different kinds of manufacturers of treadmills, and they all have different kinds of designs as well as capabilities. 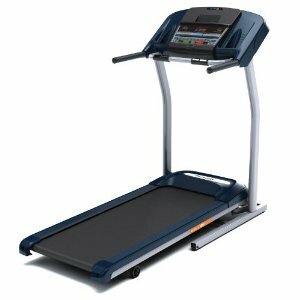 Acquiring a treadmill is an important investment and so you need to sit down and consider what you actually want your treadmill to do for you so that you buy the machine that fills the bill. It will be of great interest for you to know the maximum speed of a treadmill. This is because some treadmills are built just for walking, and others built to handle running. On the other side are those that are built for high speed or intensive training regimes. Depending on your capabilities and aspirations, you need to buy one with the speeds that suit your goals. Those meant for walking have a maximum speed of about 8 MPH, while those for running go up to about 12 MPH. Those for intensive training go to about 20 or more MPH. However you need to consider that the higher the speeds, the higher the voltage supply needed for the machine. Most elliptical machines will work at 110 volts; however most of the higher speed versions need higher voltage and work on 220 volts. So you need to consider the voltage supply of your home or your willingness to upgrade to a higher voltage supply in order to accommodate higher voltage needs. The quality of the belt that comes with the treadmill certainly determines the quality of the treadmill. Be sure to check if the belt is double ply or single ply. The double ply belts are more durable. You also need to check that the belts fit the machine without folds or twists. They should be smooth and in a light tension overall. Moreover they must not be fraying at the edges because this may mean that they will disintegrate faster. Besides check the breadth of the mat if it is able to take your stride with enough space left for you. Be sure to find machines with rollers that are about 2 inches thick on average. Rollers of smaller sizes have been known to be inefficient in holding the belts in adequate tension and so reduce the quality of machines and their effectiveness. The frames are also made of either aluminium or iron. Those that are made of aluminium are more durable than those that are made of iron. Also make sure that the machine works smoothly on an incline as well as when it is running flat. Depending on your tastes and needs, you might want a treadmill that offers enhancements like onboard training programs that put you through different training cycles in order to yield different goals of weight loss, endurance or general fitness. Moreover, others have large consoles with explicit digital views and monitors of what is actually happening to your body. So make your choice according to the different things you wish to monitor. All machines are liable to failure. That is why they have a warranty to cover unforeseen circumstances. While many manufacturers offer warranty from a few months to about 3 or 5 years, there are those that offer a lifetime warranty. Most of the machines with a lifetime warranty are usually on the expensive side of things. However whether the warranty is for a few months to a life time, there are guidelines to follow in the care and use of the machine in order to profit from the warranty. Therefore when you buy your machine, make sure that you read the guidelines carefully and adhere to them in order not to make void the warranty. One you buy your favorite treadmill, be sure to check out our Treadmill Walking Guide and Treadmill Workouts for maximum benefits.